THARISA, the UK-listed chrome and platinum group metal (PGM) producer would consider taking on an equity partner for its Zimbabwe platinum group metal (PGM) project as one of several financing options. In June, Tharisa announced a $4.5m (R60m) investment in Karo Holdings, an unlisted entity with PGM-bearing properties on the southern African country’s Great Dyke complex. The investment, which is for a 28.6% stake in Karo Holdings, takes Tharisa’s committed spend in Zimbabwe to $7.5m (R100m) after announcing earlier this year it would spend $3m exploring a chrome property on the Great Dyke owned by Salene Chrome Zimbabwe, a company Tharisa has bought. Pouroulis said that unlike Salene – which was “a straight-forward” project – pressing the button on the PGM venture was a more complex decision. “We have to verify the resources and proceed in a staged manner,” he said. “This is potentially a big capital number.” When the company was first linked with the investment in May, there were suggestions the mine and processing facilities would cost $4.2bn producing 1.4 million oz of PGM by 2023. “The resource has to back up the project. It has 96 million oz in reserves as per Zimplats’ drill results, but we have to verify that and get the project into a bankable state,” he said. Zimplats is controlled by Johannesburg-listed Impala Platinum whose CEO, Nico Muller, recently stated Zimbabwe represented a growth opportunity for the company, especially as it was throttling back production in South Africa. 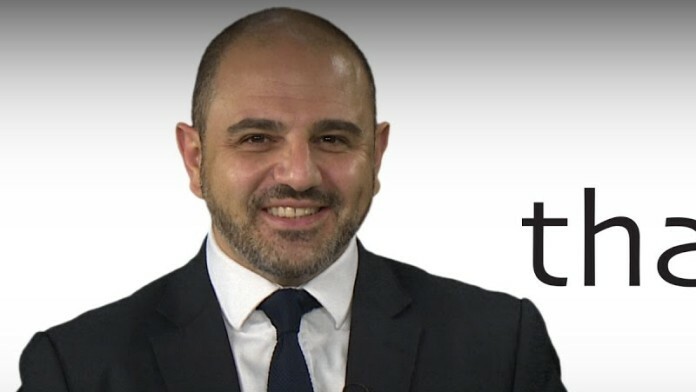 Pouroulis was commenting shortly after the publication of Tharisa’s fourth quarter and full year production results which showed consistent operational growth. PGM production was 152,000 oz, a year-on-year increase of 6%, and chrome output totalled 1.45 million tonnes, an increase of 8.8% on the previous year. Recoveries increased: there was an 84% recovery on PGMs versus the budgeted number of 80% and a 66% recovery on chrome, a 3% increase year-on-year. The production figures may help offset lower prices for metallurgical grade chrome. Pouroulis said that whilst the platinum price struggled, the PGM basket was better owing to good pricing for rhodium and palladium – a factor from which most PGM producers are benefiting. No decision has been taken on the final dividend as yet, said Pouroulis, but the company wants to establish a reputation as “a returns business. The dividend is a big thing for us. We are undecided on the quantum of the final dividend, but we have said we will pay 15% of net profit after tax and I think that’s the minimum,” he said. Tharisa paid an interim dividend for the first time of two US cents. The company is scheduled to announce its full year financial and operating results on November 28.